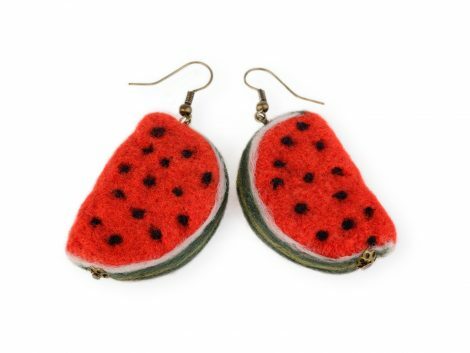 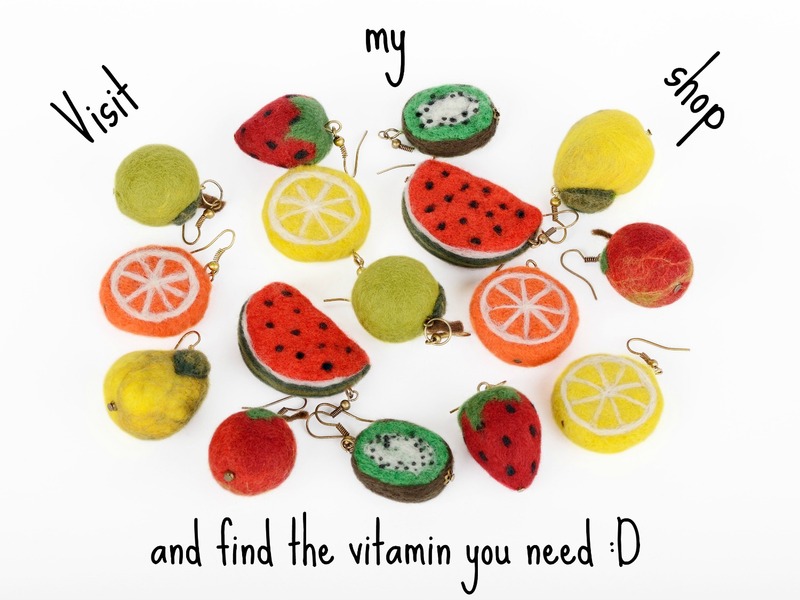 Watermelon earrings perfect as kawaii gift for teens. 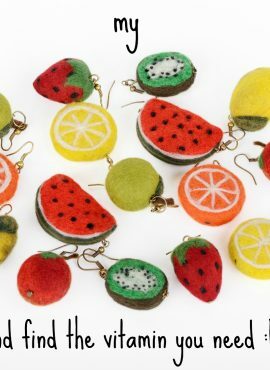 Their fruit design attracts attention and makes young ladies look lovely. 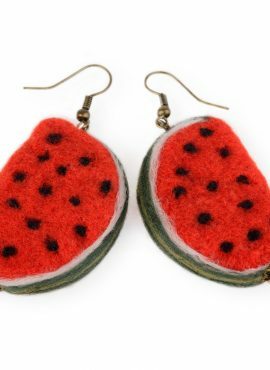 These watermelon earrings are cute jewelry pieces. 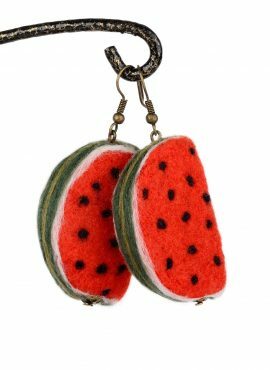 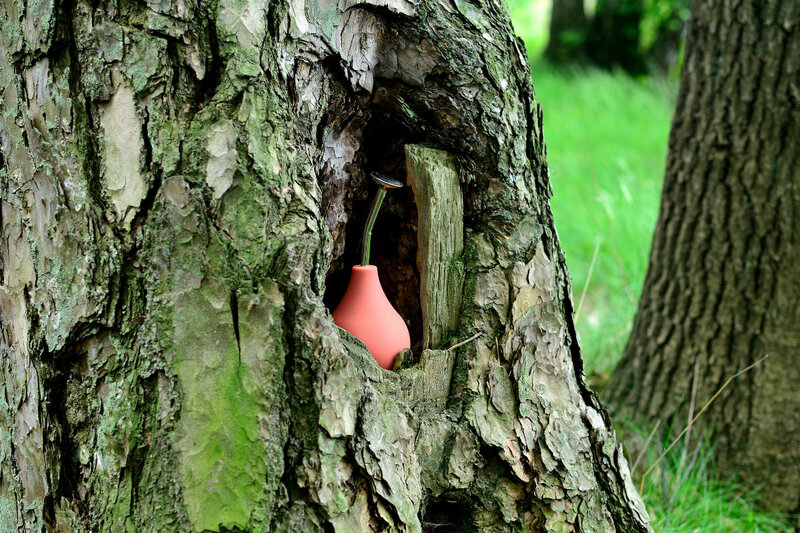 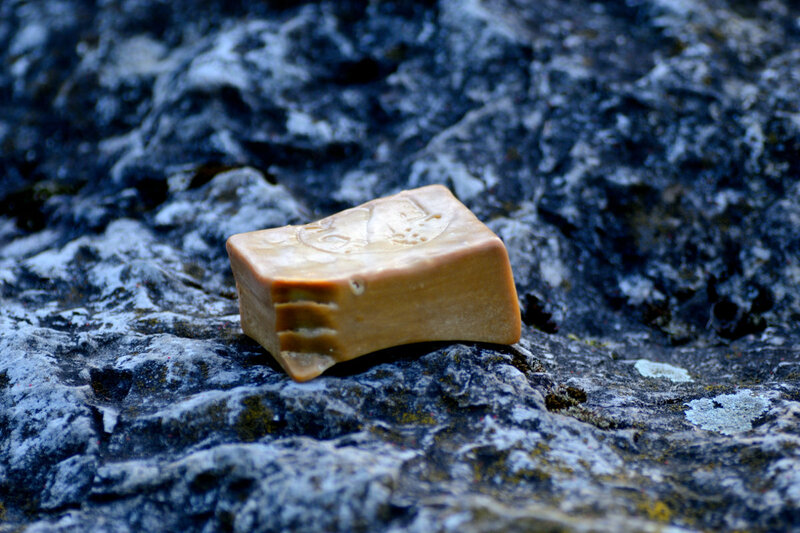 They will always remind their owner of summer holidays and sweet taste of this juicy fruit. 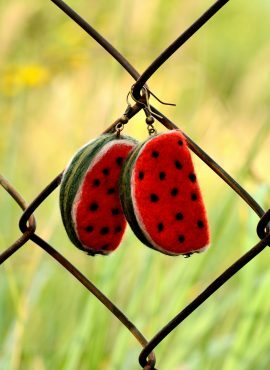 We make these watermelons by hand in felting technique and hang them on metal earring hooks in antique bronze color (silicone stoppers attached). 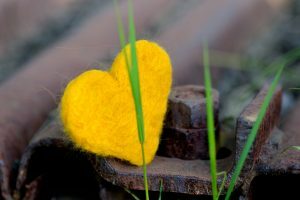 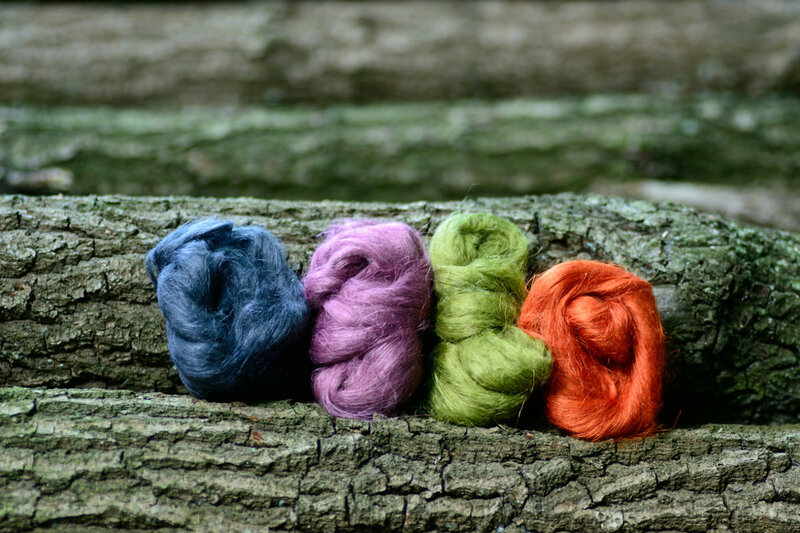 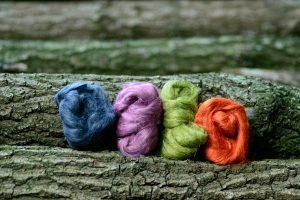 They consist of fine merino wool and thus they are lightweight and nice in touch. 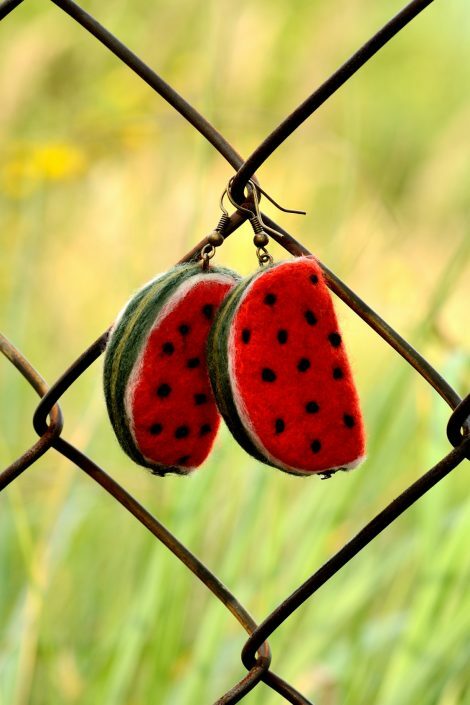 These watermelon earrings will look great both with romantic dresses and simple t-shirts. 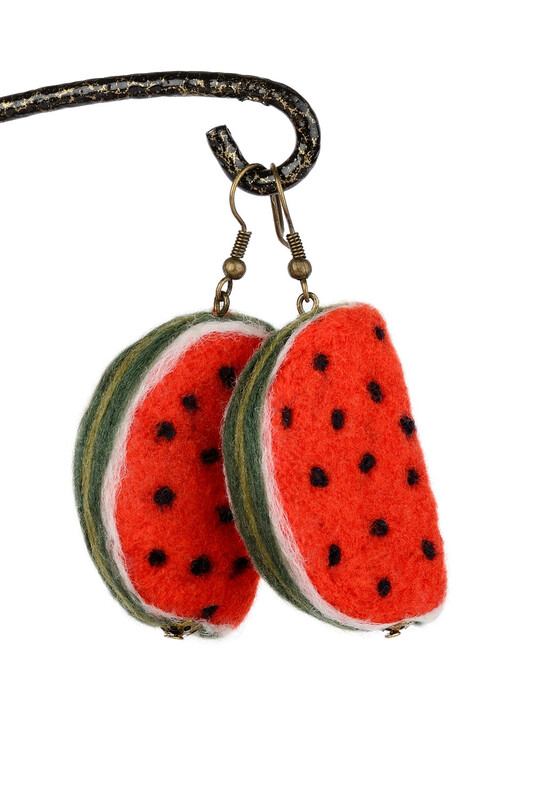 They are perfect as kawaii gift for teens, who can take them to school or wear them when meeting friends. Tasty watermelons will attract attention and make young ladies look lovely.